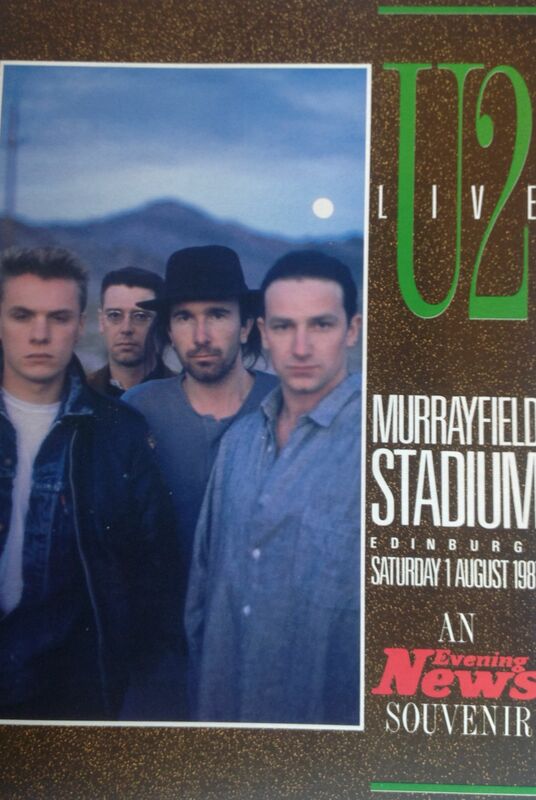 I went with my mate Ian to see U2 play at Edinburgh Murrayfield Stadium in August 1987 as part of the Joshua tree tour. By now U2 were headlining stadiums everywhere, and were one of the biggest acts in the world. We arrived in time to catch rousing support performances by The Mission and the Pogues who warmed the crowd up for the main act. 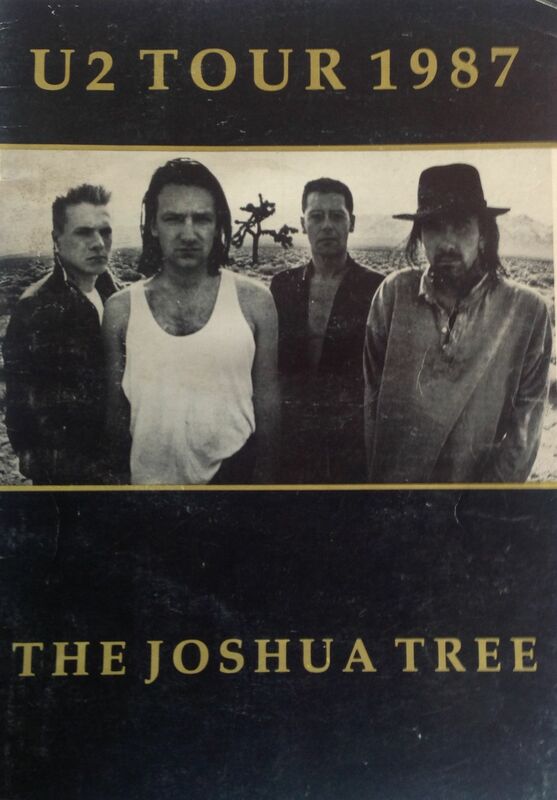 The Joshua Tree is U2’s landmark album, which reached No 1 in the UK and US album charts, and solidified their position in the premier rock league. The album contains a number of important U2 songs including the epic track “Where The Streets Have No Name” which often opened their set during the tour, but which strangely the band didn’t play at this concert. U2 were playing quite a few covers during this tour, and Bono was also including snippets from classic rock songs during their performances. At Edinburgh U2 started with two covers: “Stand By Me” (Ben E King) and “C’mon Everybody” (Eddie Cochran) and also played “People Get Ready” (Curtis Mayfield) and Help! (The Beatles). They also included the odd line from “Riders On The Storm” and “Break On Through” (The Doors), Van Morrison’s “Gloria” (rather than their own song of the same name); “Ruby Tuesday” and Sympathy For The Devil” (The Stones); and “Love Will Tear Us Apart” (Joy Division) thus showing their influences. I remember thinking it strange that they would start with two covers. I great concert, but very different from seeing the band in a small venue. We ran into old mate Gilly, who lives in Scotland, which was great. A great day, seeing a band who were writing and performing at their peak at the time. 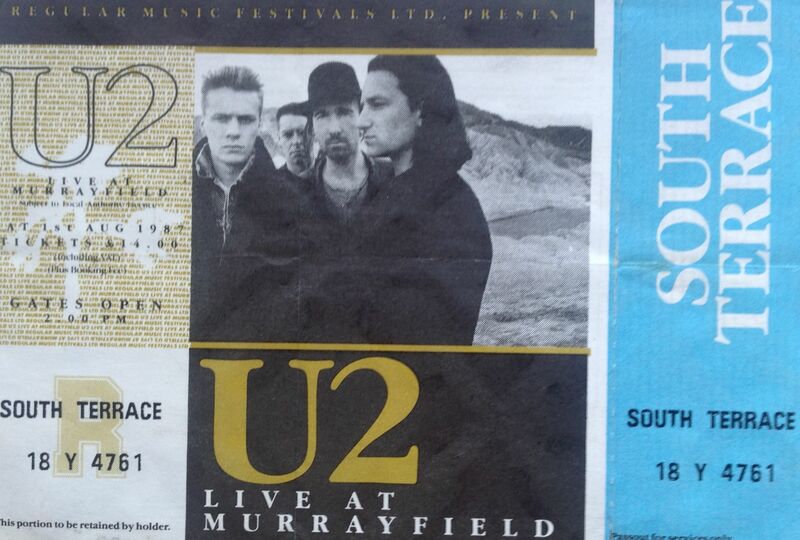 I lost touch with U2 after this tour and it was some 18 years or so before I went to see them again.